llibach doesn't have a personal statement currently. Been a while since I posted one of these, but I said I'd make one with my new guitar so here it is. Hey guys. I've decided to treat myself to a late christmas present and am going to get myself a stratocaster. Been listening to a to a lot of blues lately and want a singlecoil guitar. All my guitars at the moment are humbucker with rosewood or ebony board. I've tried both necks in store and have got to say I liked the feel and look of the maple neck but would like to know how they are playing live. It felt slicker than rosewood so was wondering if maybe playing live with sweaty hands are they harder to handle. What do you use and what are your thoughts on one or the other? Hey guys, can anyone recommend a decent video editing programme for mac, like the movie maker on windows. I wanna get some rec takes done so want one where I can synch audio to it. I've just set up my new presonus audio box with a pair of tannoy active monitors, the sound is great but when there's no sound they do a low clicking noise so do the headphones. Is this normal? Or have I done something wrong. I've basically set up like this. Audiobox (usb into mac) monitors hooked up from audiobox with jack to xlr cables. While the clicking ain't loud it's annoying to hear constantly when it should be silent. So for a few months I've been saving for a new guitar, was talking with a guy about a Schecter PT custom shop when this happened. My dog was playing next door with my parents pooch when my father heard a yelp went outside to see Seth limping. 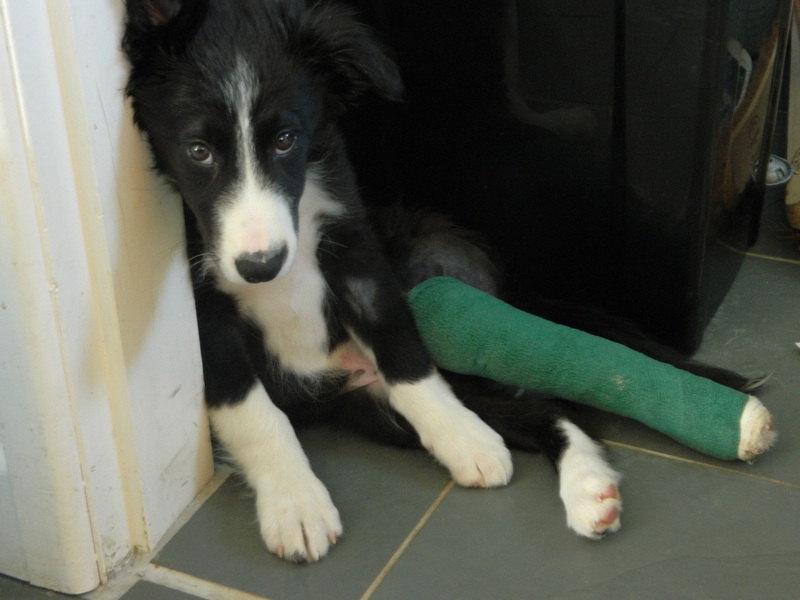 Took him to the vet and what do ya know, he's only broken his leg. Cost me 250 plus the return bills. Have to get insurance now Have to wait a while for the new axe now. Other users have left no comments for llibach.